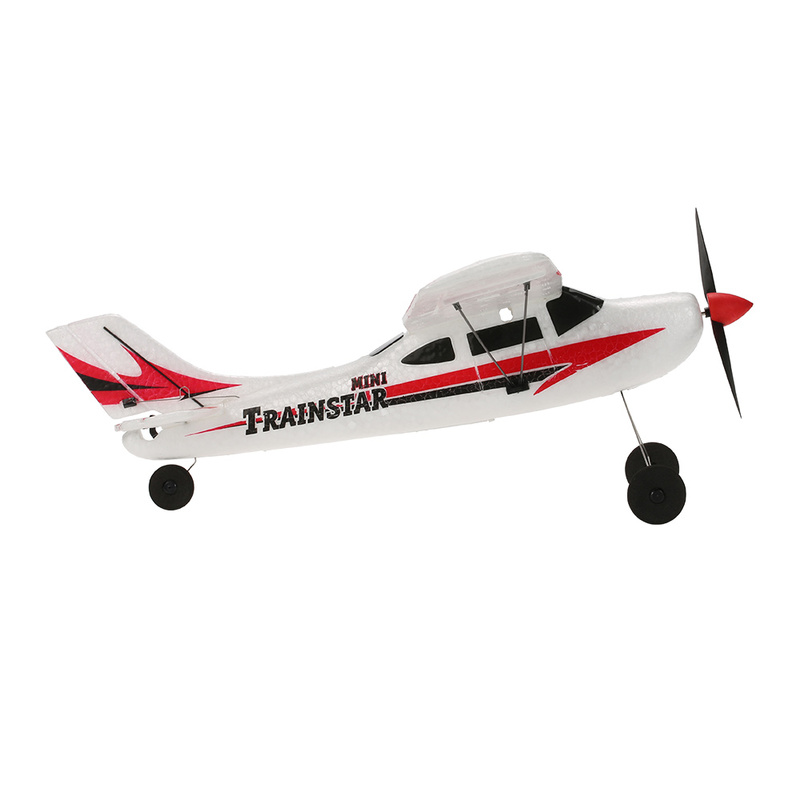 The V761-1 CESSNA Trainstar airplane is a mini RC airplane ever offered by VolantexRC. 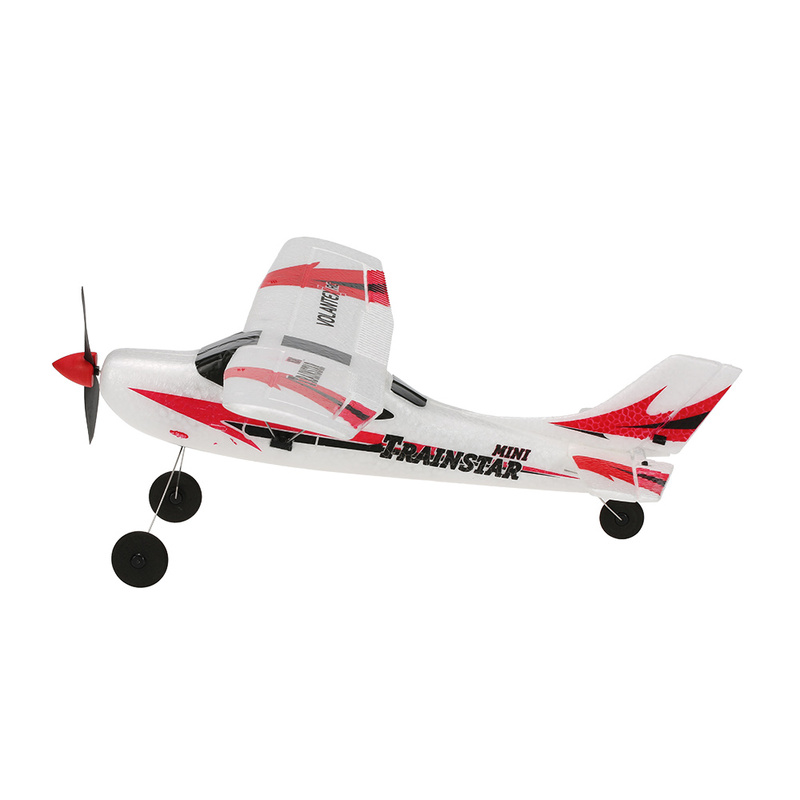 Easy for a beginner to operate because it is lightweight yet has a sturdy construction. 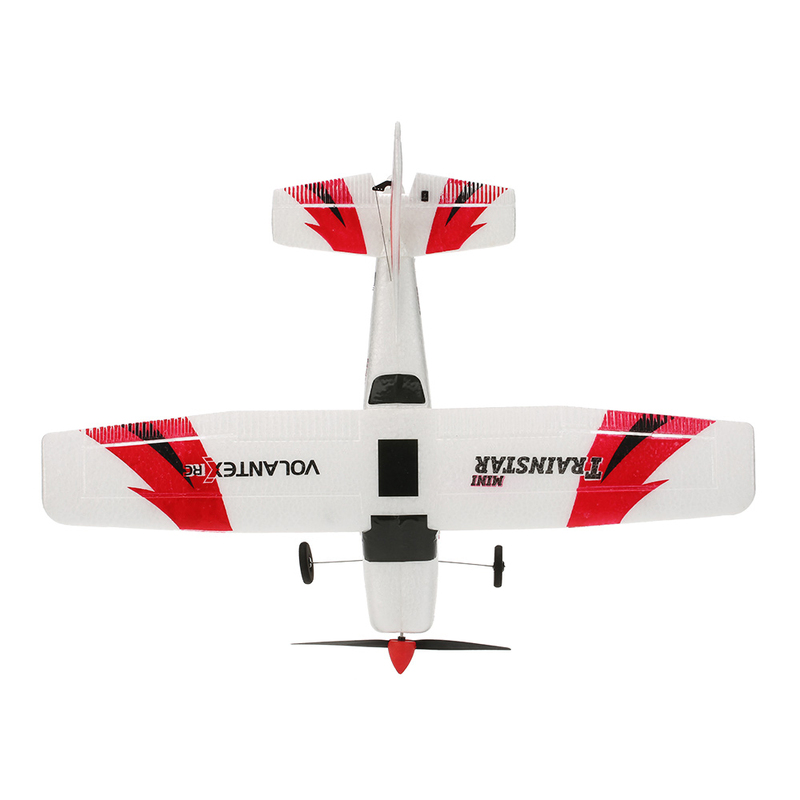 The 2.4Ghz radio control system and 6-axis gyro will make the fly more stable and you can easy to control the plane. 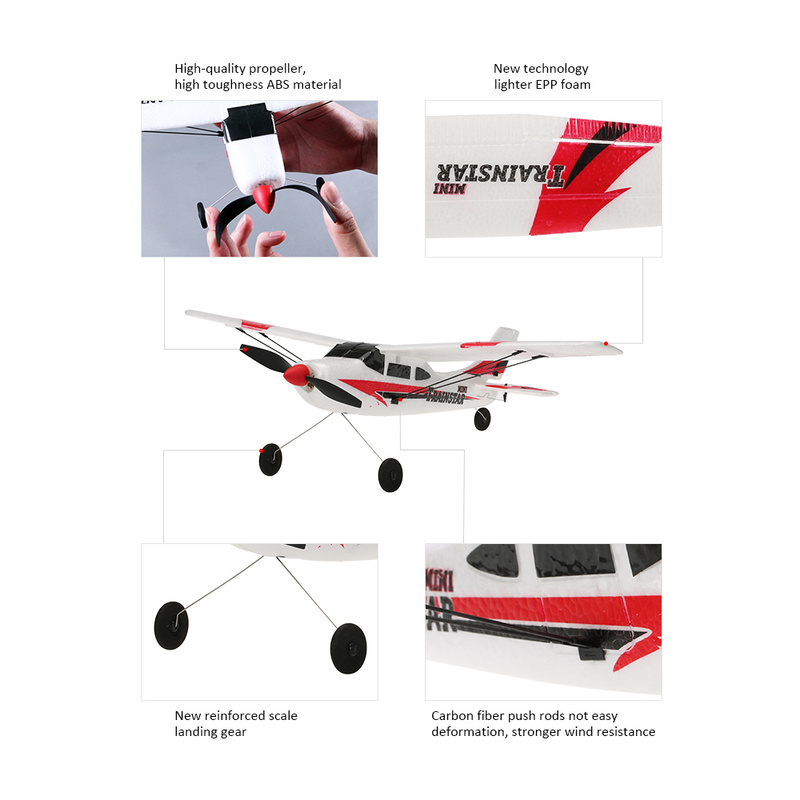 Plus it\’s built to last from lightweight EPP material that\’s tough enough to handle everyday flying punishment without getting bent out of shape. What are you waiting for? Just come and get it! 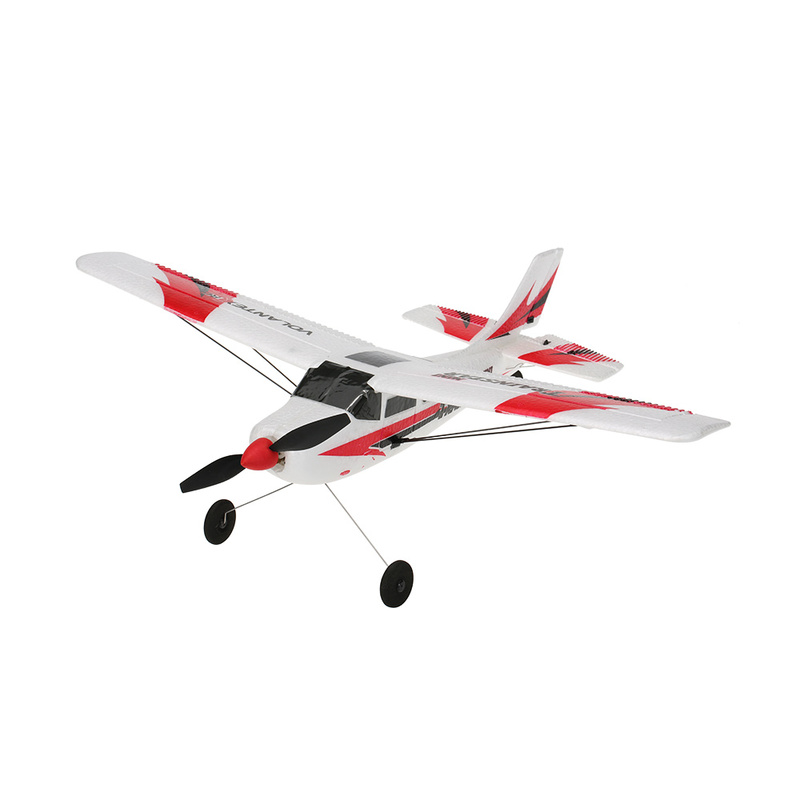 High wing trainer is stable and easy to fly. 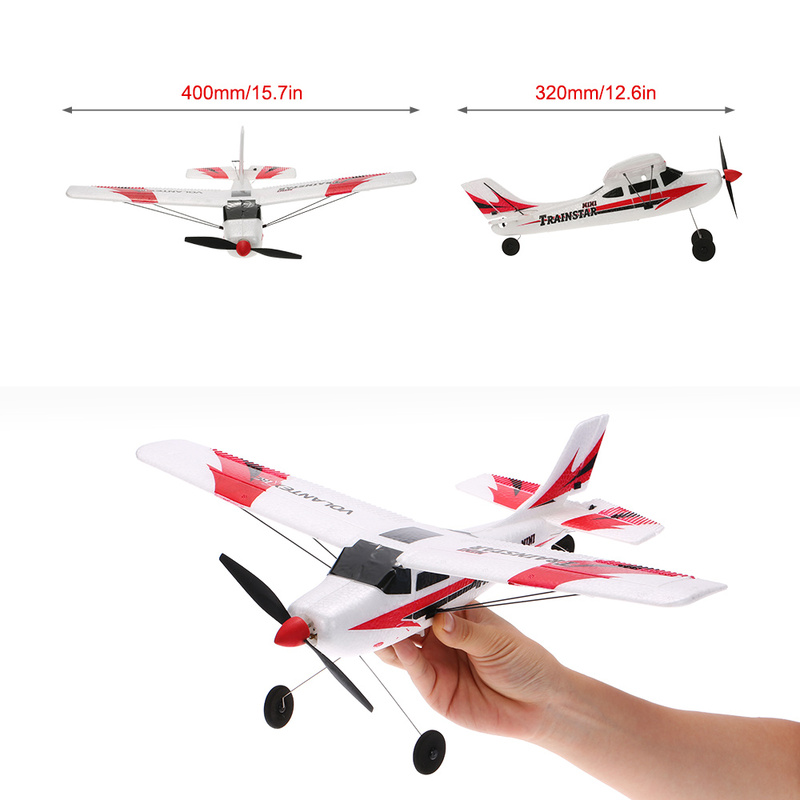 Light weight and durable EPP construction. 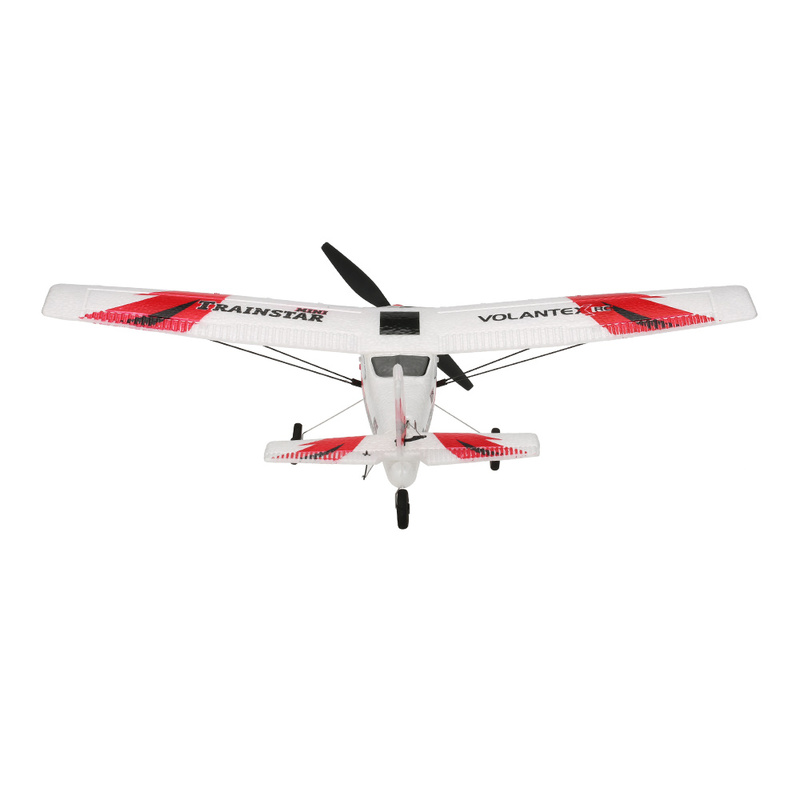 High performance in indoor flight. Digital proportional standardized radio control system. 3 Channel, go up and down, forward and backward, turn right and left. 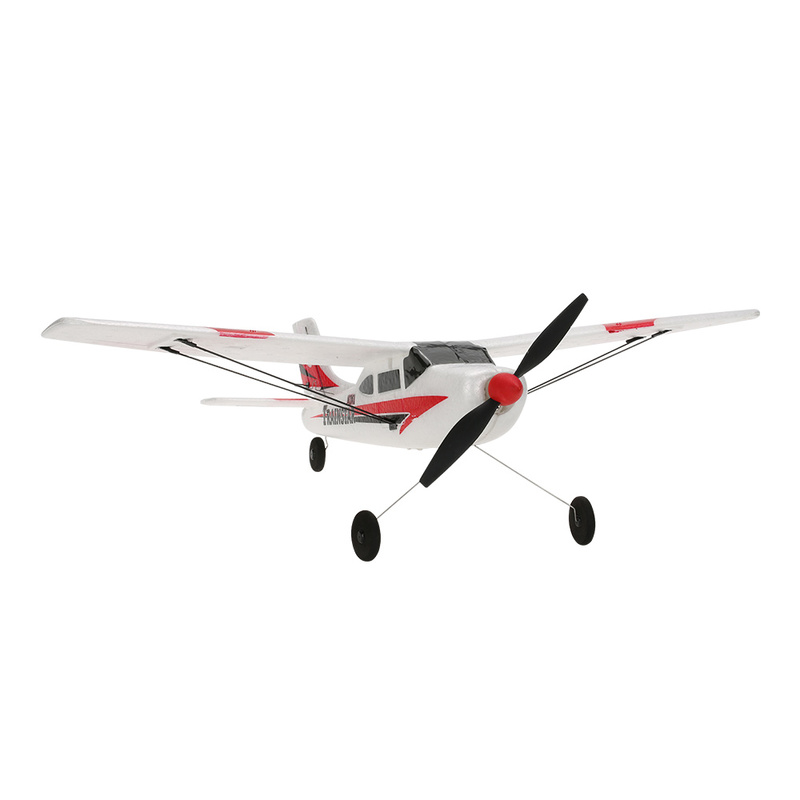 Two kinds of take-off mode, taking off from the ground and throwing fly. 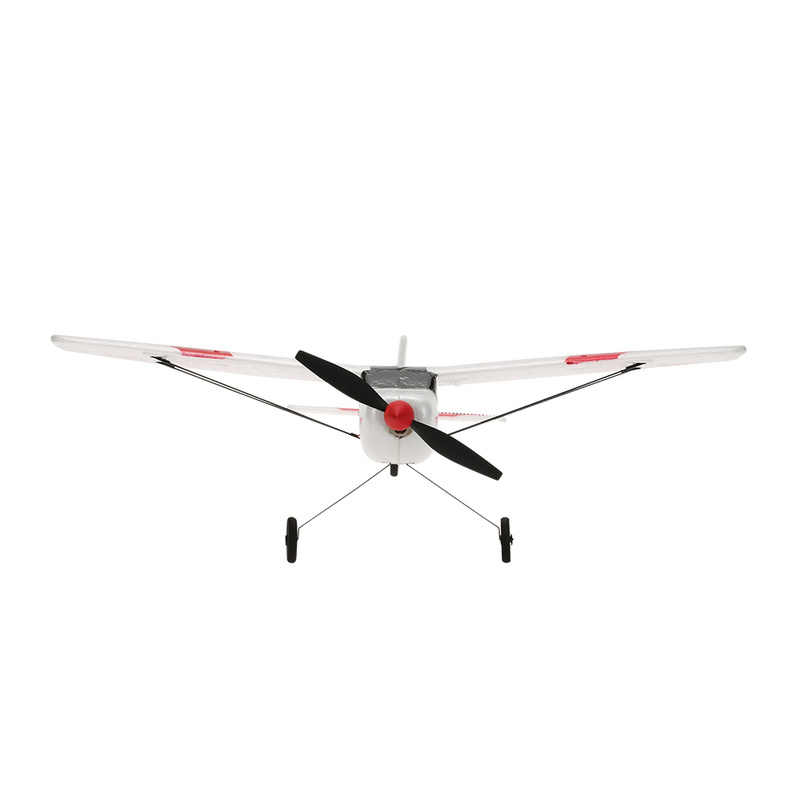 Easy for a beginner to operate because it is lightweight yet has a sturdy construction. 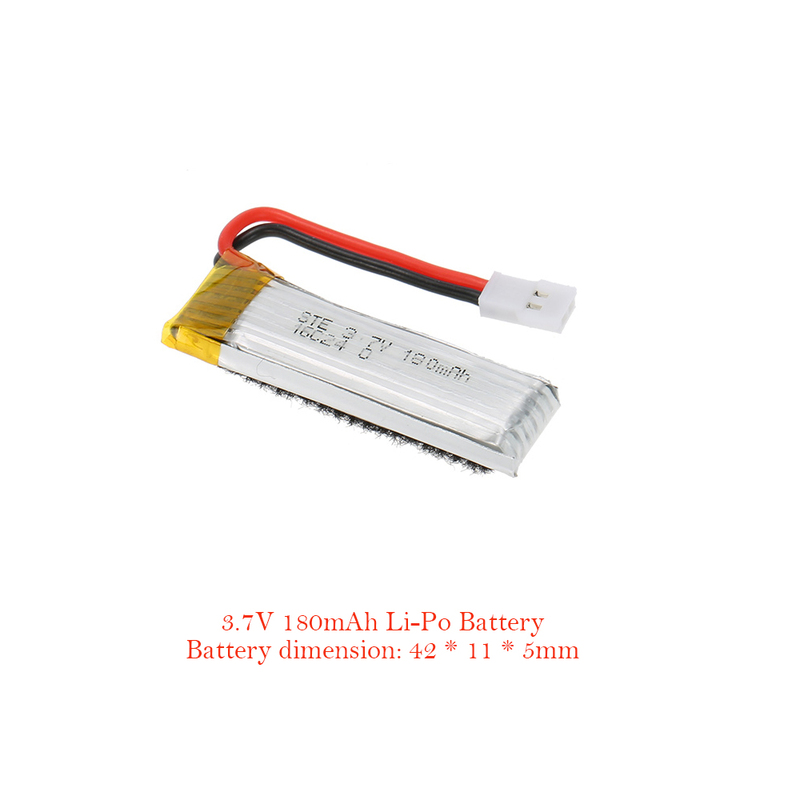 2.4Ghz spread spectrum technology: better anti-interference ability, faster reaction speed, low power consumption. 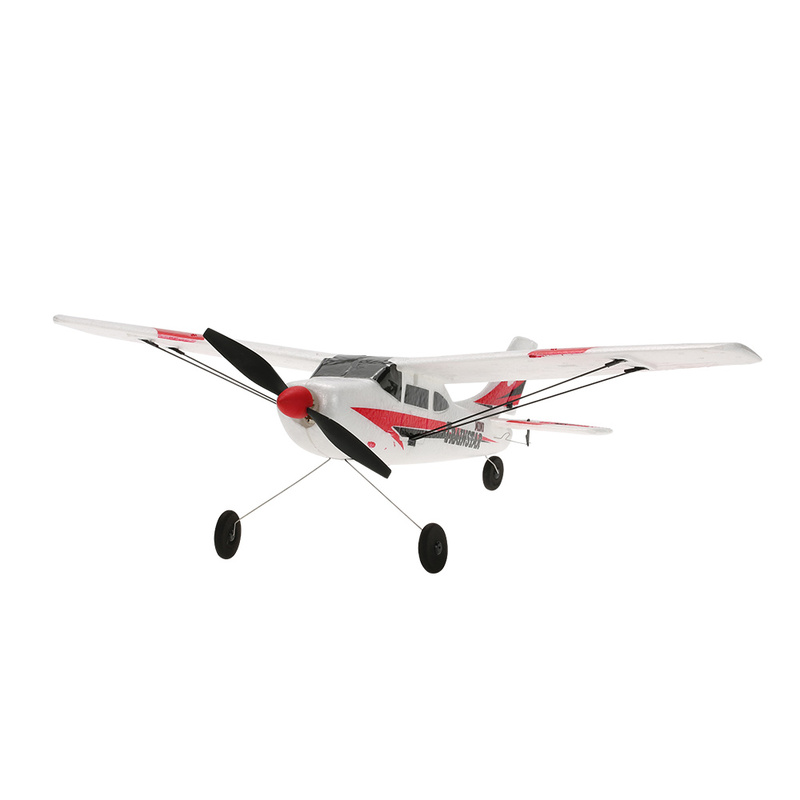 The added advantage of a landing wheel, to help protect the foam, makes it a perfect choice for everyone.